"Give or take 40 guests, the very first living room gig Offer remembers hosting with his friends in London isn’t so different from a recent chilly October night in Manhattan's East Village, when attendees packed into a trendy loft apartment owned by Alex Roy of audio showroom company Noho Sound for the latest Sofar production..." Read more. Noho Sound & Stereo In Stereophile Magazine! Why did we open Noho Sound & Stereo? Stereophile was kind enough to publish this interview with Ron and myself, where we go deep into our vision for rebooting audio, events, and the experiential aspect of live and recorded music. Basically, if it isn't fun, what's the point? 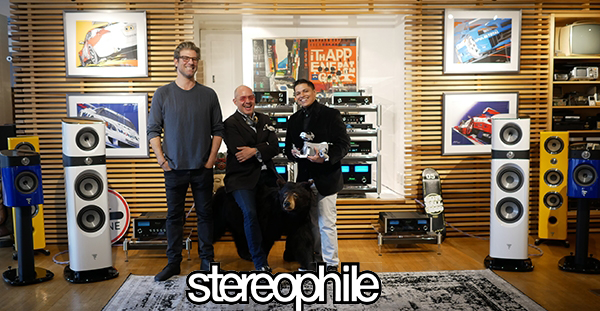 "In an industry constantly perplexed by the absence of youth, diversity, and appreciation for the hobby, three audiophiles set out to revolutionize the industry with the opening of a new hi-fi shop in New York City that is anything but ordinary. 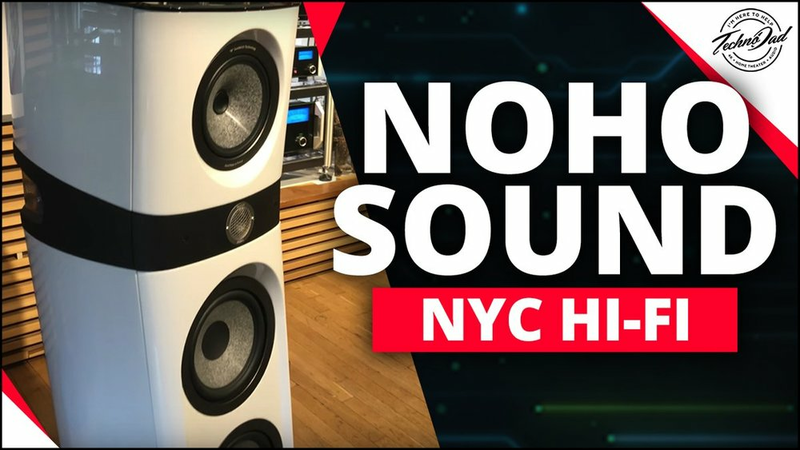 NoHo Sound & Stereo (NoHo Sound for short) is located in a loft in the lower Manhattan district NoHo—open seven days a week, by appointment only, with a second location in Chelsea. They offer: Analog Domain, Audio Research, Aurender, Box Furniture, Croft Acoustics, Devore Fidelity, Focal, Grand Prix Audio, Larsen, McIntosh Labs, Micromega, Musical Fidelity, Naim Uniti, Sonos, Sonus Faber, Vicoustic, and XLO Electric. In addition to selling hi-fi, they host weekly—yes, weekly—live music events of all genres, where startups like Groupmuse and Sofar Sounds use their space for performances, with 100% of proceeds going to the musicians. They also host events in collaboration with the nearby World of McIntosh Townhouse. It's not very often—actually, it's almost never—that you hear about a new hifi shop opening, so I sat down with CEO Alex Roy & president Ron Kain to hear their take on where the industry's going, how they plan to attract millennials, and why they're starting a new venture in a market so deeply set on discussing its own decline. Aside from all having extensively worked as hi-fi salesmen in New York, Alex is the editor-at-large for The Drive, co-host of the show Drive on NBC Sports, and has set eight Cannonball Run Driving records in the USA, Sweden, and Spain; And Ron has origins in pro-audio and was consistently the top salesman at NYC hi-fi retail giant Stereo Exchange. 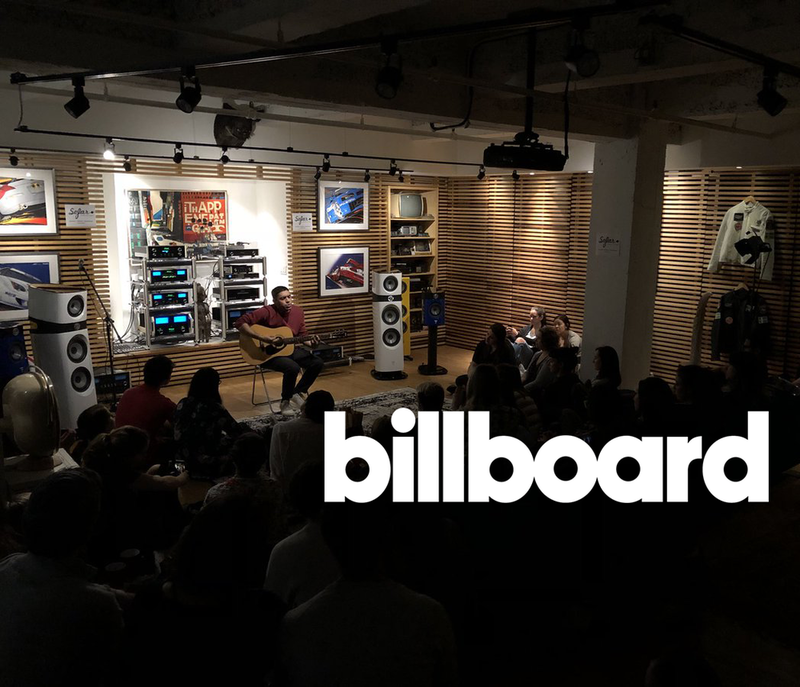 With a crew like this, it's no surprise that NoHo Sound has already been mentioned in Billboard despite only having been officially open for a few months." "Alex Roy: I worked at Stereo Exchange in college because I was obsessed with high-end audio but I couldn't afford anything. By working there, I could afford to pay for the gear and get the discount. I bought a pair of [B&W] DM602s . . . and eventually 802 Series 3s, which are sitting over there. [gestures] I always dreamt of opening an audio store, but in the 90s it didn't make a lot of sense. Then AudioGon arrived and the used business got crushed. But I always knew that sooner or later, something had to change in this sector, because high-end audio stores haven't changed at all, but the world's changed around them. AudioGon and eBay crushed the used high-end audio business for brick and mortar retailers who weren't operating online. If you look at how they operate today, the majority of stores on the ground still haven't changed. And that's why NoHo Sound..."